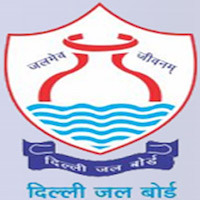 Online Application Details for Delhi Jal Board DJB Recruitment of 15 Consultant is given below. Application form and duly attested documents are to be sent to Assistant Commissioner (T), Delhi Jal Board, Govt. of NCT of Delhi, Room No. 212, Varunalaya Phase – II, Karol Bagh, New Delhi – 110005. In envelope super scribed with 'Application for the Post of Post Name'.